The Boxing Truth®: Can Leapai Derail Klitschko’s March Towards History? Can Leapai Derail Klitschko’s March Towards History? There have been few challengers that have been able to go the distance with the brothers, much less been able to compete effectively. It’s no secret to those who have read my work over the years that I have been of the opinion that the Klitschko brothers are not likely to get the respect that either of them are due for their dominance until both are long retired from the sport. After a decade at the top of the division, and having taken possession of the World Heavyweight Championship between them, I wondered if there would come a time when the Heavyweight championship of the world would become universally vacated. This scenario did seem as though it were a possibility as most are probably of the opinion that the brothers were likely to retire on top as world champions. Part one of that equation came when Vitali vacated the WBC title earlier this year to focus on his political ambitions leaving a vacancy in the Heavyweight division, and more importantly the first time since 2008 that a portion of the Heavyweight championship of the world is not in possession of either Klitschko. This now leaves Wladimir as the sole Klitschko in the Heavyweight division. What has gone unnoticed by some is since regaining a portion of the Heavyweight championship in 2006 and successfully unifying four of five world titles, Wladimir has also been quietly marching toward history. Following his fifteenth successful title defense over previously undefeated Alexander Povetkin in October of last year, Klitschko has put himself on the verge of joining elite company in regard to the most dominant Heavyweight champions of all time. There are two legendary fighters that have successfully defended their titles more times. Larry Holmes who successfully defended his Heavyweight title twenty times and Joe Louis who holds the all-time record for title defenses in any weight class in Boxing history with an incredible twenty-five successful defenses. For the thirty-eight-year-old Klitschko it would be a fitting way to close his career if he were to come closer to Holmes and Louis, and maybe even break the all-time record. The next step for Klitschko is title defense number sixteen, which will come on Saturday when he defends his unified IBF/WBO/WBA/IBO world title against WBO mandatory challenger Alex Leapai in Germany. Leapai, an Australian-based native of Samoa emerged on Wladimir’s radar after he scored an upset ten round unanimous decision over previously undefeated number one contender Denis Boytsov last November. Leapai, who will enter the fight with a record of 30-4-3, with 24 Knockouts comes into this fight with a five fight winning streak. Leapai however, is probably not well-known outside of Australia and is likely to be viewed as an underdog as this fight approaches. This opinion could be based on his record. Although Leapai has built momentum coming into this fight, he has beaten several fighters who are not particularly well-known. Despite his victory over Boytsov, Leapai’s most notable opponents were former world title challengers Owen Beck and Kevin Johnson. Leapai scored his sixth round knockout over Beck in 2010, but was stopped by Johnson in nine rounds two years later. 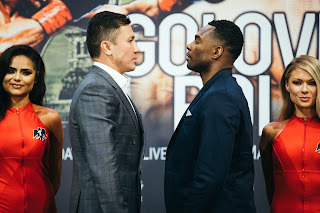 Although some may consider this fight to be a mere formality as Klitschko continues to rule over the division, it is important to remember as I have said many times over the years that anything can happen in Boxing and that is what makes the sport great. There was also a time when Klitschko was susceptible to being caught off guard, most notably in his fights with Corrie Sanders and Lamon Brewster. There is no doubt however, that in the years since suffering those losses Wladimir has become a much more technically sound boxer who makes full use of his physical advantages. Even though both of the Klitschko brothers have been criticized over the years for their Boxing styles, you can’t argue with success. It has proven to be an extremely difficult task in the last decade for opponents to land anything effective on Wladimir. This can be attributed to the legendary late great trainer Emanuel Steward, who took over as Klitschko’s trainer in 2004. Under Steward’s guidance Klitschko was able to make full use of his 6’6 frame and eighty-one inch reach. Even though some may criticize the Boxing styles of the Klitschko brothers, Wladimir’s career in the last decade is a shining example of why Emanuel Steward is regarded as one of the greatest trainers in the history of the sport. Some might argue that if it weren’t for Steward, Wladimir’s career might have been different and probably would not have achieved the level of dominance he has over the last decade. How can Leapai win this fight? Although some might say that Leapai has a puncher’s chance, he needs to get close enough in order to attempt to land that punch. He must bring the fight to Klitschko from the outset and not allow Klitschko to establish distance. Simply put, there is no way that the 6’0 Leapai can win this fight on the outside. He needs to make Klitschko fight. This is however, easier said than done. In Klitschko’s last fight Alexander Povetkin attempted valiantly to bring the fight to Klitschko, but was nullified every time that he got on the inside. Klitschko was able to make full use of his height and weight as he roughed up and grappled with Povetkin on the inside, scoring four knockdowns and dominating throughout. Much of the blame for Klitschko’s ability to rough up Povetkin throughout that fight was pointed in the direction of Referee Luis Pabon. This observer however, stated following the fight that if a referee will allow you to make full use of your physical advantages and size, why not use it to your advantage? Povetkin is only two inches taller than Leapai. This means that Leapai will be in the same predicament of having to find a way to get on the inside of Klitschko and avoid being caught where Klitschko can lean and use his body weight to his advantage. In order to do this Leapai must first find a way to get on the inside and avoid Klitschko’s jab and straight right hand, which has gradually beaten down many opponents. Alex Leapai clearly faces an uphill battle in this fight and we will have to see what he has to offer in the ring. Although this fight has been dismissed by some and from a business standpoint has been passed on by some networks both here in the United States and abroad, this fight does have an element of intrigue. Wladimir Klitschko’s march toward Boxing history. If he is able to get past Alex Leapai, each successive title offense will continue to increase interest regardless of who the opposition might be. Wladimir Klitschko must now deal with two opponents each time he gets in the ring. The opponent standing across the ring from him and the increasing element of chasing Boxing history. For Boxing fans in the United States Klitschko-Leapai will be televised by ESPN on Saturday afternoon at 5PM EST/2PM PST. Will Klitschko continue to inch closer to Holmes and Louis? Or, will an unheralded challenger be able to pull off another upset? Will Hopkins Continue To Make Boxing History? Cunningham Vs. Mansour: Let’s See It Again!